Uncover the endless possibilities Montana has to offer! There are endless winter activities for you and your family to indulge in while visiting Big Sky, Montana. From the endless enchanting views of mountain ranges to the wide-open skies, Big Sky invites adventurers to this majestic winter wonderland. Big Sky offers unlimited access to outdoor recreation for all ages to engage in. 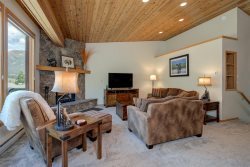 There’s a plethora of liveliness that goes on in Big Sky regardless if you and your family are staying in a luxury home or a chalet; such as a sleigh ride dinner or relaxing at one of the local spas that provide top-notch accommodations. Big Sky attracts numerous people to experience the vacation that brings them back year after year. With a true small-town vibe, Big Sky is sure to impress the snow seekers to make this the perfect place to end each day with an adventure. Discover these and other Big Sky winter activities today with local vendors! Big Sky is home to "The Biggest Skiing in America" where two world-class ski resorts, Big Sky Resort, and Moonlight Basin, boast 5,800 acres of ski terrain with 300 named runs spanning across connected mountain ranges. While skiing, you have impeccable views of four mountain ranges that include Madison, Spanish Peaks, Gallatin and Hill Guards. You are encompassed within mountain ranges that offer flawless esthetic views. If skiing in a ski resort is not for you, Big Sky offers an award-winning Nordic trail system. Big Sky is a snow-seekers paradise that provides a collection of expansive bowls, terrain parks and perfectly thinned glades coated with fresh, cold smoke powder. Big Sky Resort and Moonlight Basin team together to provide Snowboarders and Skiers of all levels with some of the most advanced terrain to carve and the shortest lift lines in the United States. CLICK HERE to purchase your lift tickets. Escape to the solitude of the wilderness and surround yourself with high alpine lakes, national forest teeming with wildlife and spectacular views of Big Sky’s vast backcountry. Lone Mountain Ranch, known as the #1 Nordic Ski Resort in America, offers more than 50 miles of phenomenal trails right on your doorstep. Lone Mountain Ranch is a great destination place for alpine skiers as well as featuring groomed cross-country ski trails dependent upon snow. Trek through the snow and stride along 30 miles of trails reserved only for snowshoeing, or head deep into the solitude and tranquility of Yellowstone and explore at your own pace. Travel with a guide and learn more about winter wildlife and what Big Sky has to offer for snowshoeing. Put on a pair of snowshoes and start indulging in natural beauty. Snowshoes can take you on many excursions throughout Big Sky trails. If you are an adrenaline junkie, come and enjoy the beauty that Big Sky has to offer by traveling on a snowmobile. With this Winter adventure, you can take a guided tour by accessing the Gallatin National Forest. Moreover, if you’d like to explore on your own, you can tour through Montana’s remote backcountry by discovering incredible natural wonders set in the snowy landscapes of Yellowstone. Skiing and snowboarding aren’t the only way to get around the hillsides of Big Sky. Jump into a pair of ice-skates or zoom around on a sled. The thrill of the chill beneath your feet will continue at Big Sky’s Town Center where you can access the sledding hill or a full-size hockey and ice-skating rink. An ice skating excursion surrounded by dramatic snow-capped peaks is the perfect way to glide your way to the end of a fun-filled family day. Big Sky, Montana is a dream destination for serious fishermen. Typically, when we think of fishing, we think during the warm season, but not here in Big Sky, Montana. Our fish are here year-round. High alpine lakes, blue-ribbon trout streams, and rivers with snow-covered banks promise a magical fly fishing or ice fishing experience amidst the solitude of the snow-swept mountains. Ice fishing can be a perfect getaway to relax and enjoy the stillness of Winter. Experience the thrill of a lifetime as you mush through the snow on an authentic dog sledding journey through the majestic mountains with your own team of huskies. Take a quick stop to exchange drivers while sipping on a hot chocolate and enjoying a cookie. Sleigh rides are another one of Big Sky’s amazing Winter adventures while you cozy up to a warm blanket. It’s a magical experience that the entire family will enjoy. Glide across the snow on an old-fashioned western style sleigh ride followed by a scrumptious dinner, or explore Southwestern Montana’s most pristine forests on horseback for the wilderness experience of a lifetime. Enjoy the majesty and pristine wilderness of Yellowstone Park while dining in the warmth of a candlelit yurt, snowshoeing off the beaten path in the backcountry or riding the Lone Peak Expedition to 11,166 feet which happens to be Montana’s highest scenic overlook with unsurpassed views of three states, two national parks, and the spectacular Tetons. Cozy up for a ride in a snowcoach. Yellowstone snowcoach tours are available to several park destinations; such as Old Faithful and the Grand Canyon of the Yellowstone River. If you are looking for a truly unique wintertime experience look no further than these grand excursions into these largely unoccupied lands! A trip is not complete in Big Sky until you’ve visited Yellowstone National Park during the Winter season. Over 2 million acres of diverse landscapes, steaming geothermal wonders, abundant wildlife and sheer tranquility lie only 45 minutes away from Big Sky. Tour the park on a snowmobile, visit the park’s highlights on a snowcoach tour, cross-country ski past geysers or escape the crowds and head to the Nordic trails to snowshoe. Moreover, it’s fascinating to look for wolves as the snow makes these predators easier to spot. You can spot several different kinds of animals during the Winter months; such as bears, bison, and elk. "The social activities and entertainment following a day's skiing." The ski day isn’t complete without a bit of après ski entertainment. For some, this is dancing the night away to live music or for others, a trip to the spa with top notch accommodations followed by a warm drink in front of a toasty fire! After a big day on the slopes, there’s nothing quite like heading to a local bar and enjoying a homebrew or a rich, dark stout. Our small town’s fun, laid-back vibe extends from the slopes to the town. Whatever your choice of entertainment, Big Sky does not disappoint. The hub of evening activity is in the Mountain Village with nightly live music, fun events, and great restaurants.